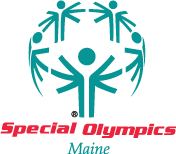 Downeast Horizons Foundation is a non-profit organization created to provide financial support to children and adults with developmental disabilities. Members for the foundation’s board of directors serve on a voluntary basis and are representatives of the community served by Downeast Horizons. Current Board Members are President Dwight Eaton, Vice President William Green, Jeff Fernald Treasurer, and Tony Zambrano as the clerk. The board is actively recruiting for additional members to volunteer. If you are interested in being part of this founding team, please contact Tony Zambrano at 667-2400.